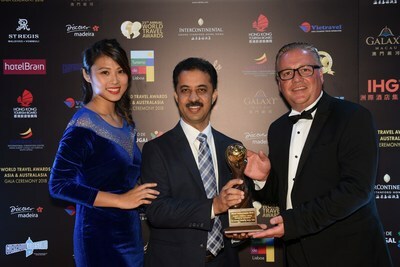 The Ultimate Travelling Camp (TUTC) has once again being named ‘Asia’s Leading Luxury Camping Company’ at the 25th Annual World Travel Awards, presented at a glittering ceremony in Hong Kong. TUTC, which has a host of accolades, retained this title for a third year running at the World Travel Awards, believed to be the ultimate accolade in the travel industry. The World Travel Awards is considered by many as the ‘Oscars of the Travel Industry’ that celebrates excellence in global tourism. The ceremonies are widely regarded as the best networking opportunities within the travel and tourism industry, attended by the who’s who of the travel industry.